Koi - Full Box Qty. Our order policies are fairly simple and straight forward. We sell to both retail and wholesale accounts, and thus our policies are designed to allow rapid fulfillment of your order with minimal effort by you, the buyer. Be sure to place your orders by Noon on Tuesday, for same-week shipping. This will allow us enough time to get the best fish ready for you. Orders placed after Noon on Tuesday will ship the following week. Orders are filled on a first-come, first-served basis. On some of our larger accounts we do hold individual inventory to be sure that you receive what you need when you need it. Orders must be prepaid. We accept Paypal & all major credit cards (MasterCard, Visa, American Express and Discover). Company checks or personal checks are accepted, however orders will not be shipped until the checks clear and stock quantities may change during the time the check awaits approval. Net terms are available on a very limited basis and only to those with a long-standing credit history in the fish business and with Blackwater Creek Koi Farms Inc. Wire transfers may also be done. Please contact us for wiring details. Cancellation Policy. Due to the high demand and fast turnaround of our shipments, cancellations can cause major problems. Please be sure to order only those fish that you need. Cancellation of more than 2 orders may limit your availability of future fish. You cannot cancel your order on the day of shipment. Shipping. Your fish will be packed in polyethylene bags with pure oxygen and ammonia absorber. Your order will be packed to arrive safely at your door within 36 hours. Fish are shipped by UPS Next Day Air or FedEx Express only; no ground shipping of live fish. Sometimes the couriers delay shipments due to weather, traffic or other issues. We cannot be responsible for this as we have no control over such things but we will do our best to assist you if these things should happen. These delays happen approximately 15% of the time. Should there be a problem with the packages after they arrive, please be sure to note any damage with the delivery driver prior to signing for the packages. Please do not send packages back as fish are not a returnable item. All shipments are sent Priority or Next Day Air. Most shipments will arrive by 10:30am or 12:00pm depending on your location. Otherwise please allow until 5pm for delivery. Please notify us ASAP of any issues with your delivery so we may assist you right away. If you receive any fish DOA (dead-on-arrival) please call within 24hours and send us the pictures of the fish to verify in order for us to make any approved adjustments to your order. 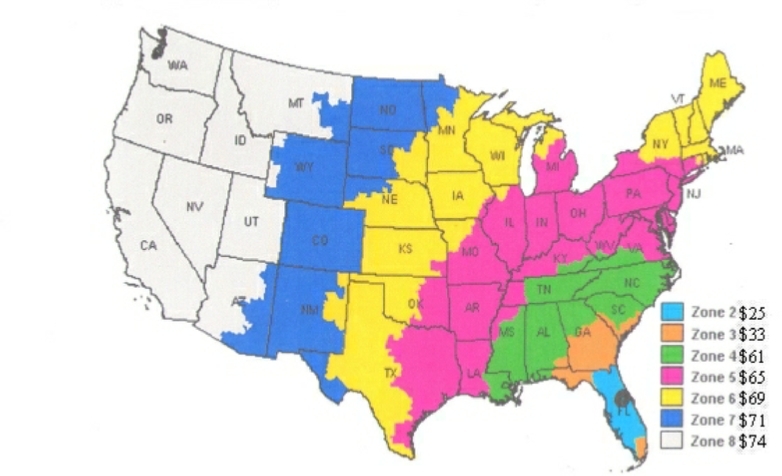 This map shows approximate UPS overnight and Fed-Ex express rates for shipping Live Fish to your door by next day air. During check out you will get to choose which express delivery service you wish to use. Open the box by peeling the tape or making only a very shallow cut. The fish bag is very close to the top of the box so make sure not to puncture the bag while opening the box. Keep bags out of direct sunlight. Float unopened bags for 20-30 minutes to equalize temperature. Do not open bags and add water from your pond or quarantine tank to the bag! (See important note below). After the temperature equalizes open the bags and pour fish and water into a separate clean tub or bowl. Dip fish into tank with a clean net or you can carefully use your clean hand. Do NOT put dirty shipping water into your quarantine tank or pond. We recommend maintaining the salinity levels in your quarantine tank at 3-5 pounds of un-iodized salt per 100 gallons of water as a prophylactic measure. DO NOT mix our fish, when in quarantine, with those from other Koi farms or pet shops. That way, if during the recommended quarantine time you see a problem with the fish, you know where those fish came from and it makes it easier for us to help you. Maintain fish at 70 degrees F or higher for best results. (82 degrees F or higher is best for healing). Cover tanks, as new fish are prone to jumping. Quarantine fish for 7-10 days prior to moving them to your pond. This is only a recommendation, but please be aware that if you don’t quarantine your new fish and just put them directly into your tank or pond with an established group of fish and something develops we cannot be held responsible for any losses. 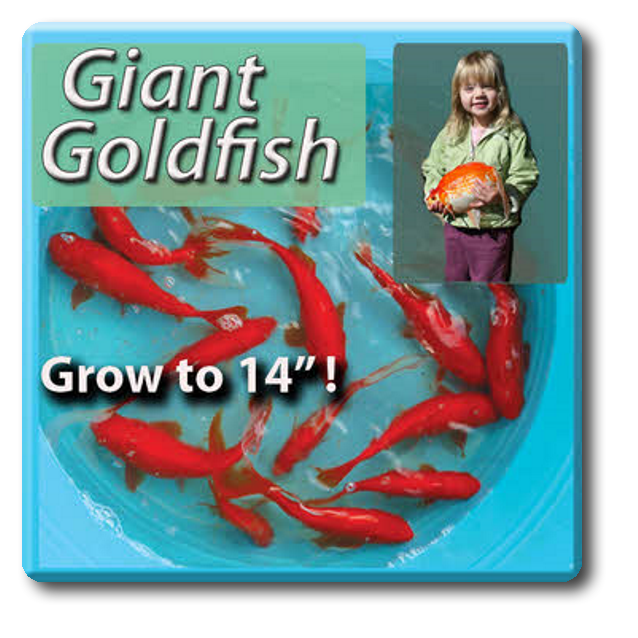 Your fish have been fed Aquatic Nutrition diets, and we recommend you continue with this food for optimum growth and color development. AN IMPORTANT NOTE ABOUT WATER EXCHANGE DURING ACCLIMATION: You may have purchased fish from a local pet store or garden center in the past, and you were advised to open the bag and add a small amount of water from your pond or tank to acclimate your fish to their new home's water conditions. In situations where a small amount of fish had been in a bag for a short amount of time (transported from the store back to your home) this is perfectly acceptable. It is NOT advised after receiving fish that have been shipped to you via overnight express carrier, (UPS or Fed-Ex). During shipping, the water accumulates two waste products from the fish, ammonia and carbon dioxide. Although high levels of carbon dioxide can be worrisome in a pond, it is actually of great benefit in a shipping container as it helps keep the pH low. This lowering of the pH keeps the high levels of ammonia in the shipping water in the ionized, non-toxic form. If the bag is opened during the acclimation process, the CO2 begins to diffuse from the water, raising the pH and changing the ammonia to the much more toxic form. If water is added to the bag this will almost assuredly raise the pH as well. This can and often does cause great stress in your new fish and can cause severe gill damage. For quick answers to your questions, use the Live Chat box at the bottom of this page! Your address is outside the USA. into your country, *before* you purchase!